Head of marketing Leane Adolph said on Wednesday all free-standing stores under both these brands would close by the end of March. “The company regularly reviews the portfolio’s performance and relevance to market and decided to move the Mango business into the store-in-store concept within Edgars. Similarly, with Nine West, we will keep a wholesale presence [for handbags] in the SA market through Edgars,” she said. The House of Busby owns the exclusive rights to both Mango and Nine West. The Nine West licence was acquired in 1999 and, until recently, had 13 stand-alone stores throughout the country. 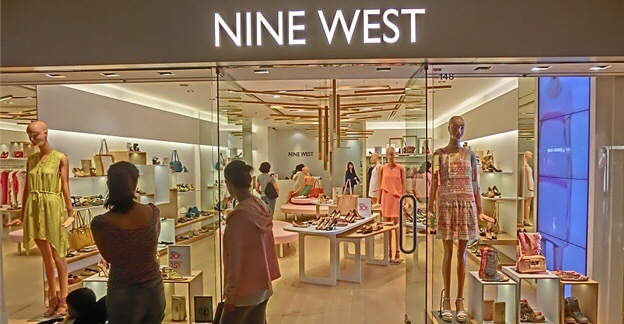 Nine West sells footwear, handbags, eyewear and accessories. The Mango licence was acquired in 2006 and there were nine stand-alone stores in SA. Mango now has 35 store-in-stores in Edgars stores nationwide. Mango sells apparel and accessories. Adolph said that rumours of Busby coming under business rescue were untrue, adding it was not expected that there would be any job losses as a result of the decision to close shop for the brands as affected staff would be accommodated within the group’s structures. The House of Busby was delisted from the JSE in May 2008, when management, together with Ethos Private Equity, acquired control. The Busby enterprise is valued at about R1.3bn. Busby also owns exclusive rights to many other well-known international brands in SA including Aldo, Forever New, Guess, Steve Madden and Call it Spring. In the past year, it has acquired the master licences for two new brands, Women’secret and 3INA, which further diversified its portfolio from footwear, apparel and luggage to include intimate apparel and cosmetics. Adolph said the group was confident that the rejigging of the portfolio would allow it to focus on the growth of the newly acquired brands and to optimise its existing portfolio, “re-emphasising the importance of great customer service and a commitment to delivering consistent, quality, international product at prices that reflect customer value”. Independent analyst Syd Vianello said it was possible that the group’s pricing model had made Mango and Nine West uncompetitive in a market that was under stress and searching for lower price points. Posted on March 24, 2017, in #international, #retail, #southafrica, Other. Bookmark the permalink. Leave a comment.